It’s been about three weeks since I’ve started this blog, and some friends of mine have helped me create a list of places to go and check out. 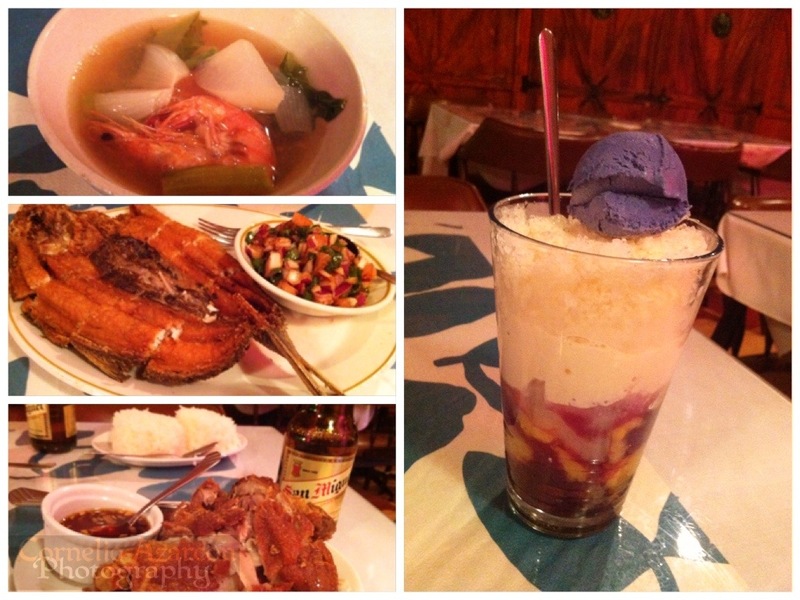 A buddy of mine wanted to try out Filipino cuisine, so we set out this past Thursday to Ellen’s Place Restaurant in Mississauga, an establishment that had been recommended to me before. It is located in an industrial area, so it was quite odd to see a restaurant so hidden, but still get enough patrons. The restaurant opens at 5pm, just in time for people to get off work and have dinner. 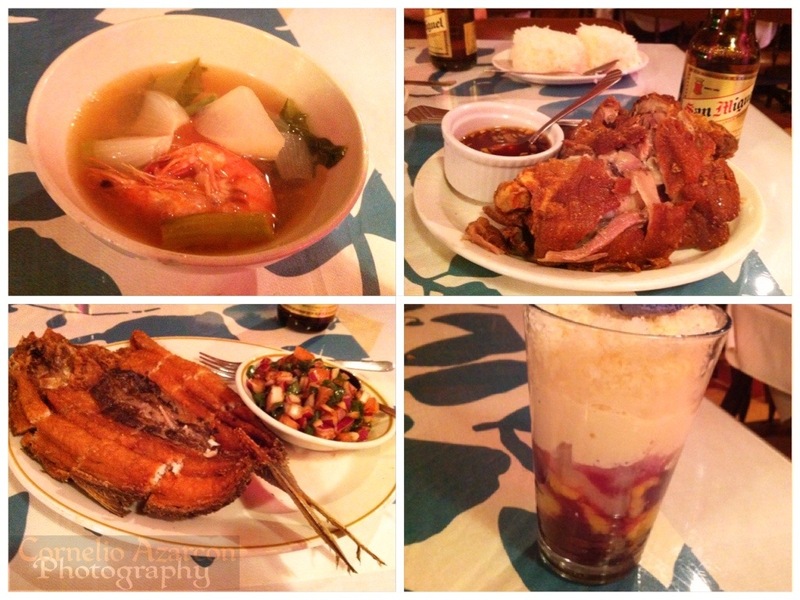 We first ordered Sinigang na Hipon, which is sour soup with shrimp and vegetables. The soup was served in a big sharing bowl and cost just under $13.00. The soup could serve four people, so it was a bit much for two. Aside from that, the soup was a great way to start the meal. 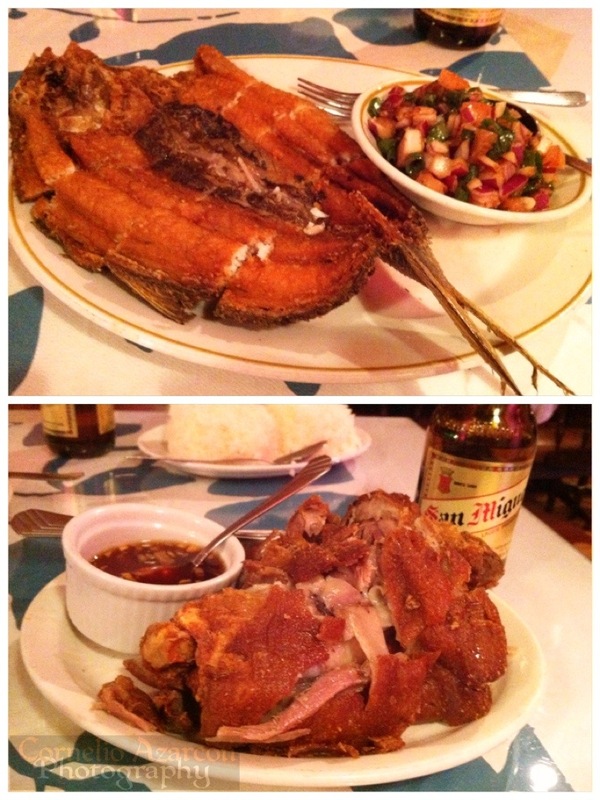 For the main course, we ordered Daing na Bangus (fried milk fish prepared in garlic and vinegar) and Crispy Pata (deep-fried ham hock). The milkfish was fried perfectly, has a nice crisp tout, but not overcooked. The plate of fish comes with a side of diced tomatoes, onions, green peppers lightly sprinkled with soy sauce and vinegar. The deep-fried ham hock was also very crispy, and cooked to perfection. Being that it’s deep fried, you’ll be surprised that it’s not greasy, and it is very tender. The deep fried skin is like eating freshly fried pork rinds. This platter comes with a mixture of garlic, soy sauce and vinegar. Whatever you do, don’t forget about the rice. For dessert, we ordered Halo-Halo which is a mixture of coconut jelly, red beans, jackfruit, coconut strings, shaved ice, evaporated milk, and a scoop of taro ice cream. It’s a very nice and refreshing dessert, especially during the summer months. Overall, the meal was great. Each food item except for dessert falls in the $10-$25 range, but each item could feed two people or more, especially if you order a few dinner items. So, come with an empty stomach, with friends, or both. Not all dinner items are fried. There are stewed items and sautéed items as well. Whatever you order, you won’t go hungry, and better save room for dessert.